“Fancy trying that new Turkish place on Narborough Road?” asks Cockney Rob. “Looks like the places in Dalston”. Being a South Londoner by extraction the food cultures of the East End are a bit of a mystery to me, but Cockney Rob knows and enjoys his food and something tells me the Turkish restaurants in Dalston are good ones. So yes, I did fancy trying. The North end of Narborough Road is a fascinating place which seems to pulse with every new shift in the complex ethnic and cultural jigsaw of our city. In recent years it’s been Eastern Europeans who have made the running. 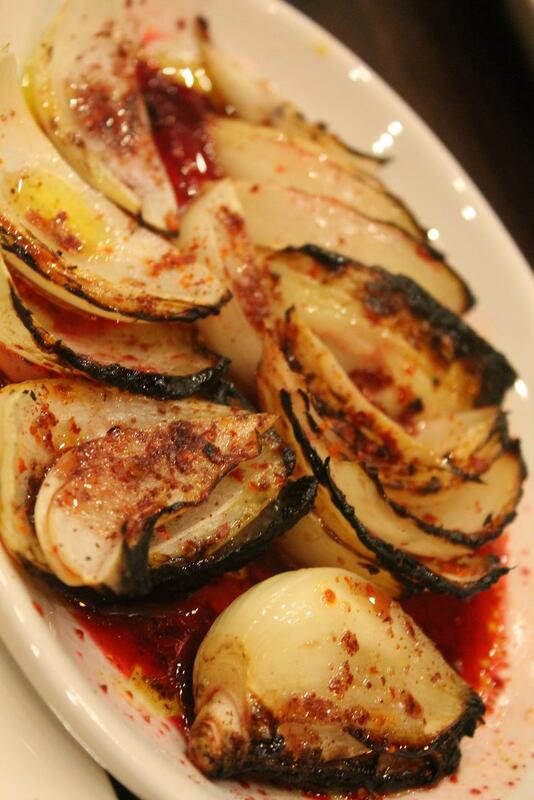 In recent months it seems the Turkish community has reached lift-off, and now in the space of a few yards we’ve got a first class cafe which I’ve lauded here several times, in the shape of Yesim, and now two proper grill restaurants – Istanbul and Sultan. 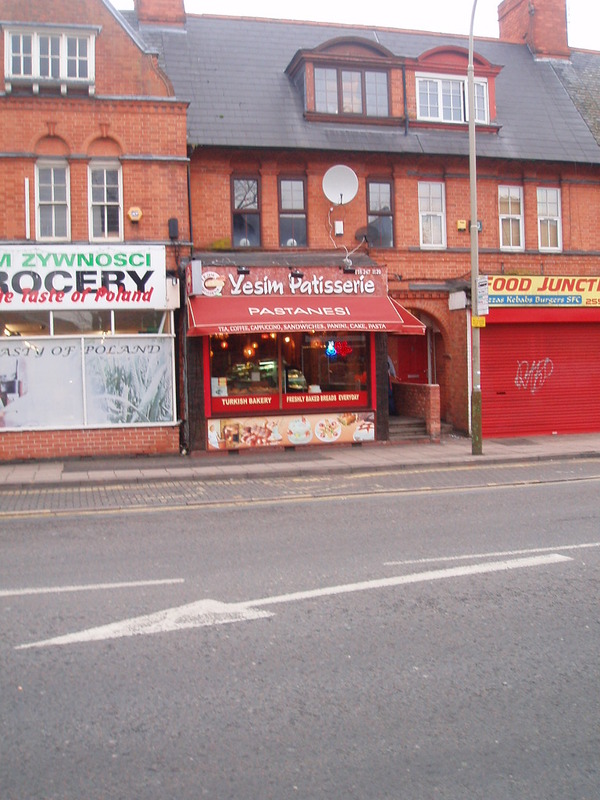 We tried Sultan, by the Hinckley Rd junction, next to what sadly is probably best known as “the bomb site”. Approaching it the signs were good – it was busy and bright and there was the most wonderful smoky, barbecue grill aroma wafting into the street. If it hadn’t have been for the bitter March weather you could have been walking by the Bosphurus not the Soar [not really, obviously, but you take my point]. It’s not licensed but the sweetly fragrant Turkish tea we’re offered sets a mood. There’s a satisfying buzz around the place – a couple of big groups, some families, some couples and it’s the kind of kaleidoscopically diverse clientele that would give Nick Griffin nightmares (that’s if he can sleep at night). Me, Cockney Rob and ermm, let’s call him Countesthorpe Mikey, get stuck into a selection of six meze – and they are all rather wonderful. Beautifully dressed sharp and tangy feta cheese and a sweetly delicious aubergine and pepper stew were my highlights, but there was also really well-made hummous, dolmades, cacik and potato salad. The warm sesame bread was so good we ordered more. The mains are mainly kebabs – nothing too fancy here, grilled and spiced meats with rice – or chips – and a nice fresh, colourful, crunchy salad. 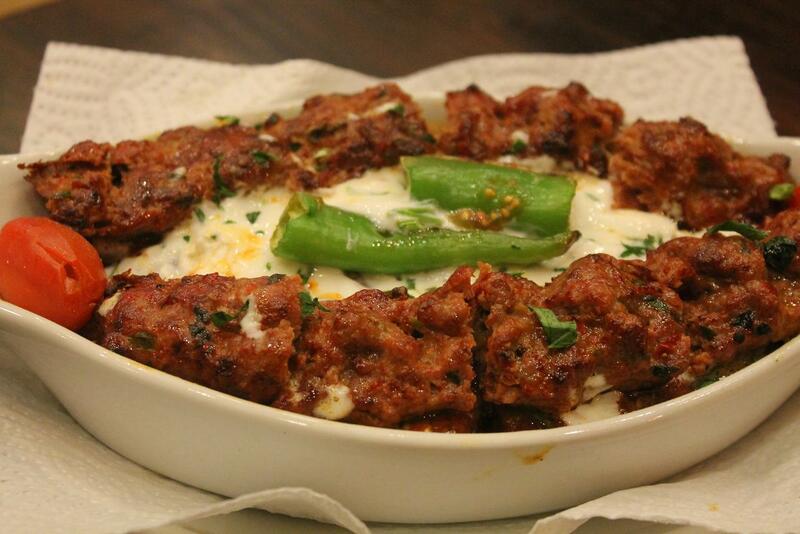 Mikey had skewers of garlicky minced chicken beyti, I had the lamb beyti, and Rob the yoghurtlu adana kofte. The later came on chunks of bread which were delicously soggy with yoghurt and sauce, which for us was a shame because we’d earlier over-indulged with bread. We also had a side of really great chargilled onions in a slightly sweet and sour dressing. I’ve had several friends return from visits to Istanbul recently and all have enthused about the friendliness of the Turks and the welcome and service here was lovely – informal but friendly and attentive. It’s not fine dining, but it is good quality, enjoyable food served in a quite stylish room to what seemed an enthusiastic clientele and at perfectly reasonable prices. Good to know that when the tourists from Dalston arrive to see our King from the Car Park, they’ll be able to eat as well as at home. A quick trip over to Narborough Road yesterday and some more loveliness obtained from the Yesim bakery. The pide pictured on the right was a real lunchtime treat. 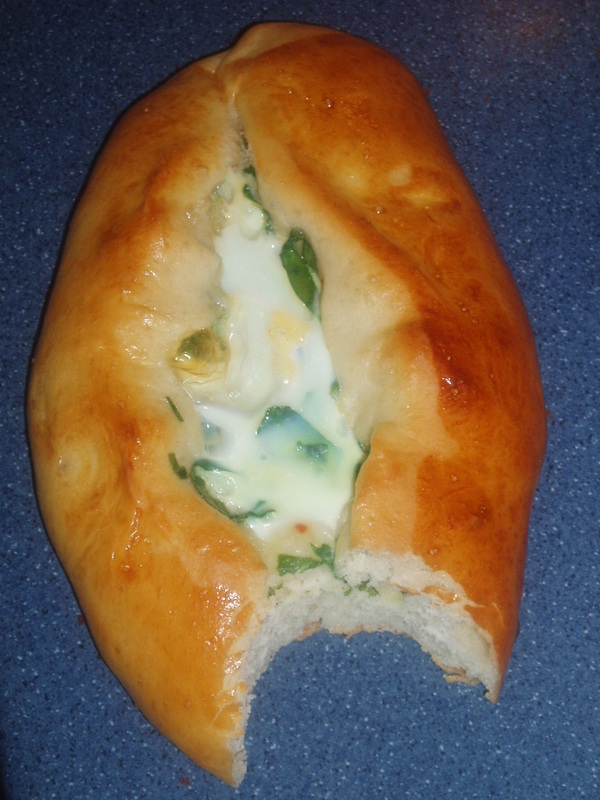 Baked in the traditional boat shape this particular one has a filling of spinach, soft cheese and a little mild onion. It may not look at its best with a chunk missing but I wanted to show the spongy, even texture. Narborough Road is becoming a real delight – Polish, Turkish, Lithuanian, Indian and may other stores and restaurants abound and the food culture is thrillingly diverse. I get asked a lot for recommendations, so I really appreciate getting recommendations in return. The Yesim Patisserie at 29 Narborough Rd was one such and I had a very pleasant lunch there yesterday, an excellent curtain-raiser to City’s 5-1 annihilation of Scunthorpe. 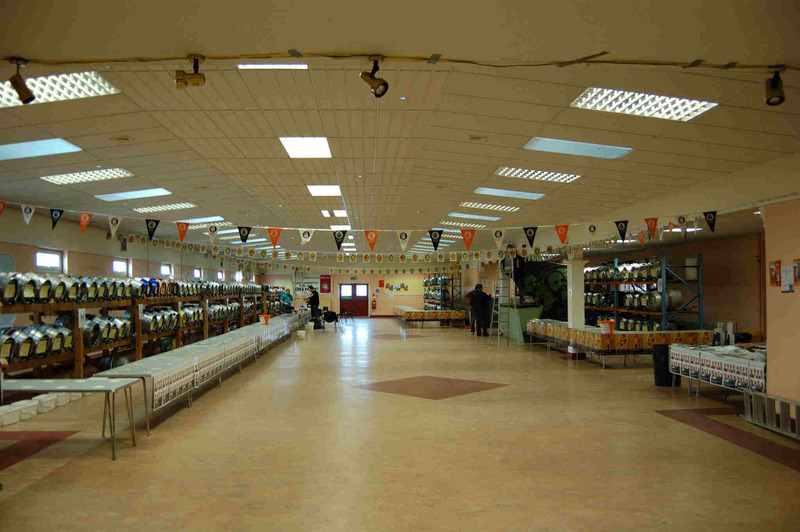 It’s in a undeniably scruffy part of town but once inside this is a smart and cosy venue. 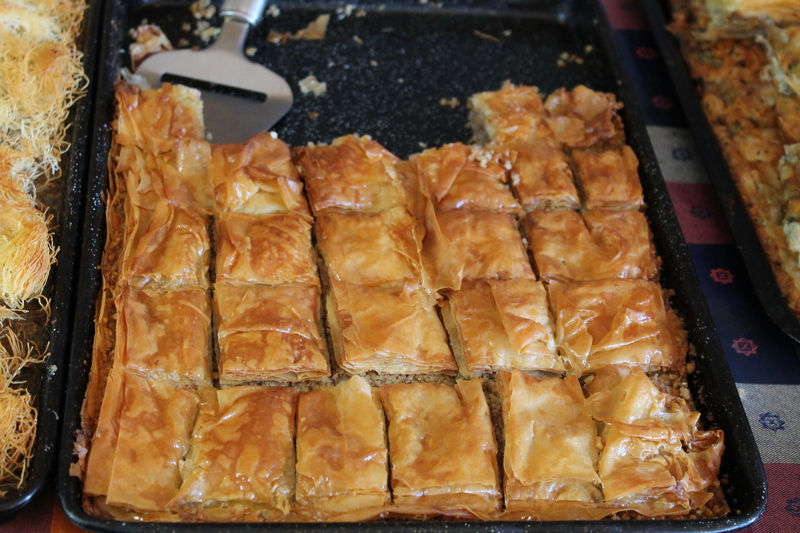 It’s a Turkish cafe and bakery, with breads displayed invitingly along with a range of homemade sweet and savoury pastries. There’s more room than you’d think from the outside and the atmosphere is warm – a keyboard is on display invitingly for those inclined to play. Staff are charming too. 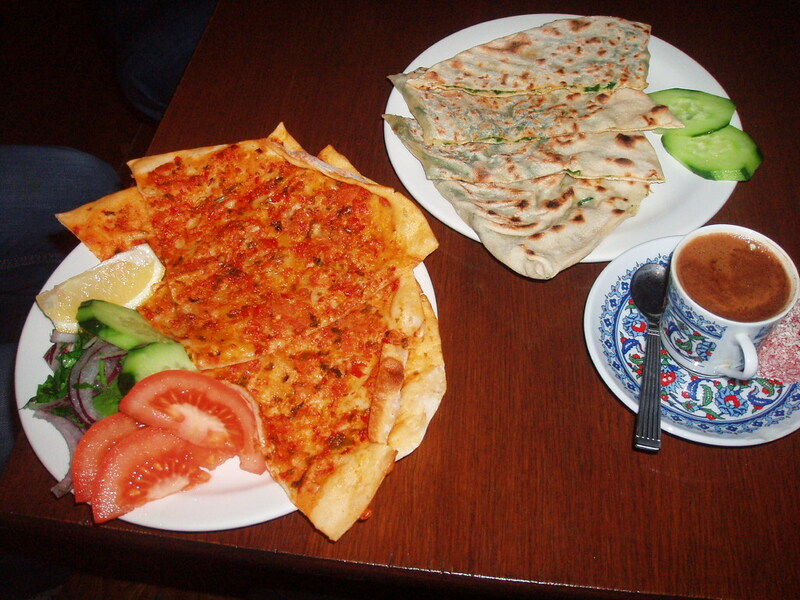 I had a fantastic strong and sweet Turkish coffee, while the pastries were light, delicate and very tasty indeed – spinach-stuffed borek (below right) and lahmacun, ultra-thin pizza-like dough with a smear of spicy lamb mixture (below left). Friends Mike and Jessica had a selection cheese pastries and russian salad, and we finished up with a selection of lokum/turkish delight, featuring a particularly lovely walnut variety, and some utterly gorgeous baklava, bursting with pistachios and dripping in honey. Could have carried on eating this all day.